Since its creation in 1992 DECT supports both voice and data services on any spectrum allocated to DECT. DECT is an acronym for Digital Enhanced Cordless Telecommunications and is used to describe the radio interface. 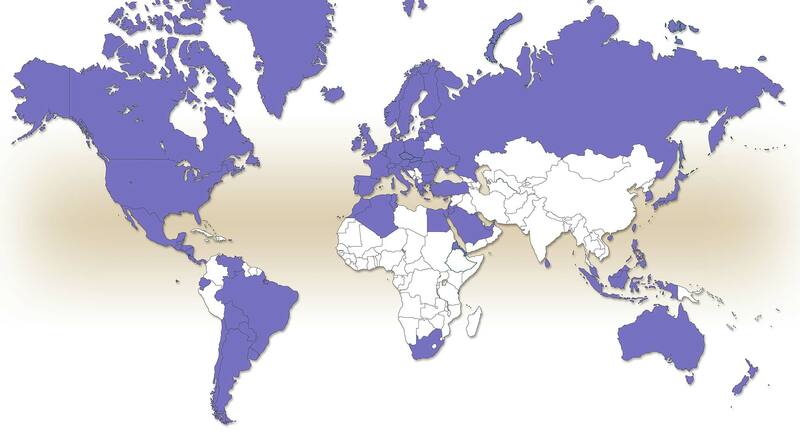 DECT, DECT 6.0 and their successor CAT-iq are adopted in more than 100 countries worldwide (see map). An overview of the spectrum allocation by country is available in the member section. The DECT base standard EN 300 175-1: "Digital Enhanced Cordless Telecommunications (DECT)" – first published by ETSI (European Telecommunications Standards Institute) – has grown out of the need to provide cordless communications, both for voice traffic and for data traffic. The DECT standard is designed to support both applications at a cost that encourages widespread adoption. DECT provides personal telecommunication services in residential, neighborhoods and business environments. Extensions to cellular radio and extensions of the local public network. DECT is part of the IMT-2000 family. DECT is called IMT-2000 FDMA/TDMA, and is defined in ITU-R Recommendation M.1457-9 (05/2010). The IMT-2000 radio interface specifications for FDMA/TDMA technology are defined by a set of ETSI standards. This radio interface is called digital enhanced cordless telecommunications (DECT). This radio interface is a general radio access technology for wireless telecommunications. It provides telephony quality voice services, and a broad range of data services. The DECT (Digital Enhanced Cordless Telecommunications) standard covers cordless communications for voice and data. DECT – in Europe and many other countries – operates on frequencies between 1880MHz -1920 MHz. In the USA DECT for voice and data services is implemented on the UPCS band 1920-1930 MHz. The UPCS rules are found in FCC Part 15 Subpart D.